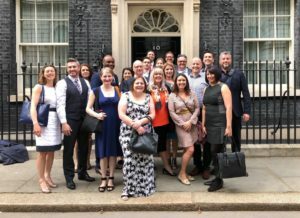 We were thrilled recently to be invited to Number 10 Downing Street to meet with the PM’s business policy adviser, Jimmy McLoughlin. As a member of Enterprise Nation, it was a fantastic opportunity to have our say on business related issues affecting small businesses in the UK. In attendance were 20 businesses in total from all regions and sectors including our founder Steve Bishop.